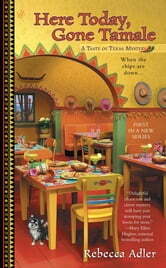 I loved Here Today, Gone Tamale by Rebecca Adler, it's a great debut to a new cozy series. Set around a family Tamalada, (Mexican holiday celebration) you will love the culture and the taste of Texas Ms. Adler delivers. Top it with a good mystery and an old flame and you've got a great cozy mystery series in the making! Great debut mystery! 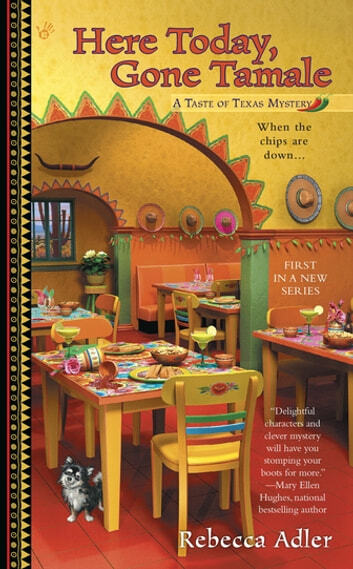 Josie Callahan is back working at her family’s Tex Mex restaurant while she figures out what is next in her life. She’s just in time for the Wild Wild West Festival that brings in the tourists to the small town of Broken Boot. But the tamale making party at the restaurant ends in tragedy when a local artist is found murdered behind the restaurant. Who would want to kill her? It took me a little while to fully get into this book. There were a bunch of characters early on, and I struggled to keep them all straight. Likewise, the mystery got off to a slow start. But as I kept reading, I grew to like the characters and really got into the story. The ending was surprising and suspenseful. I can easily see this growing into a charming series.